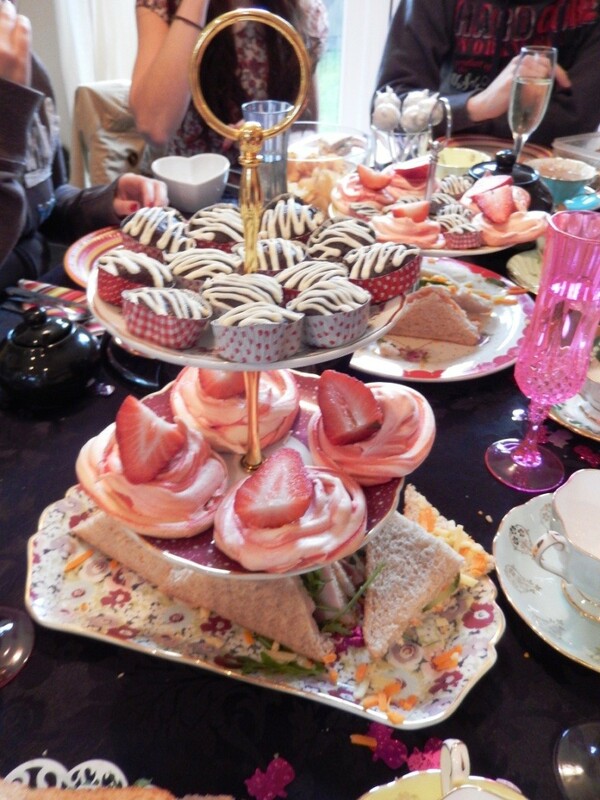 Here is the second recipe from my Birthday Afternoon Tea – I can’t believe it was two weeks ago already! 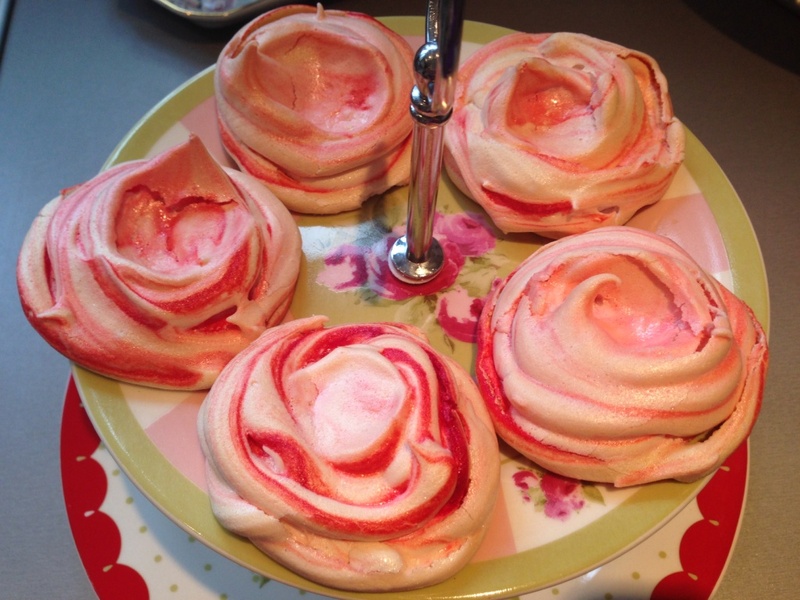 These little meringues are so easy to make, perfectly bite-sized and a great light little addition to any afternoon tea. A perfect outing for my KitchenAid Christmas present, (I’m still totally in love! 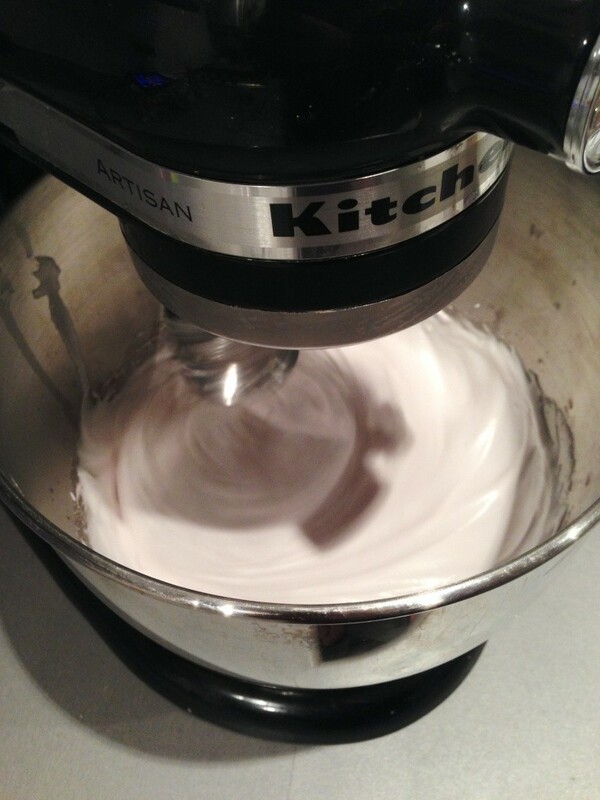 ), which whipped up the meringue mixture in no time. I used a simple recipe of 2 egg whites and 110g caster sugar, having always had great success without adding extras (cream of tartar etc.) that some recipes suggest. Before slowly adding the sugar to a thick, glossy mixture. 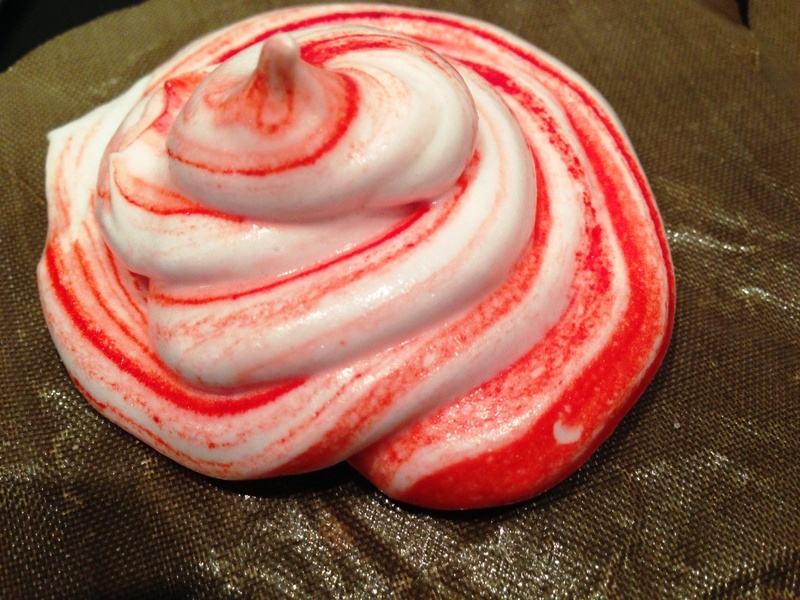 To get the swirl effect in the meringue nests, I simply painted a few thick stripes of gel food colouring down the insides of my piping bag, before filling with the meringue mixture. 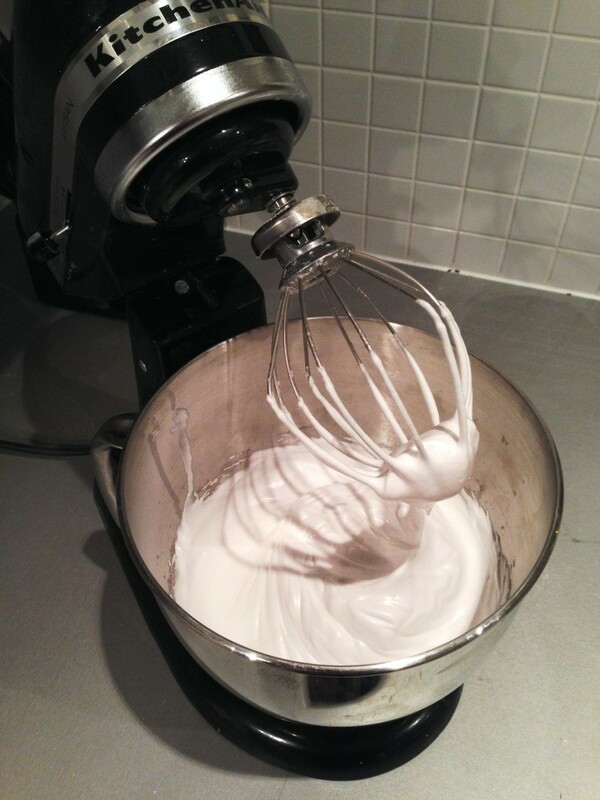 Using a round nozzle I then piped thick swirls of the mixture onto a baking sheet. 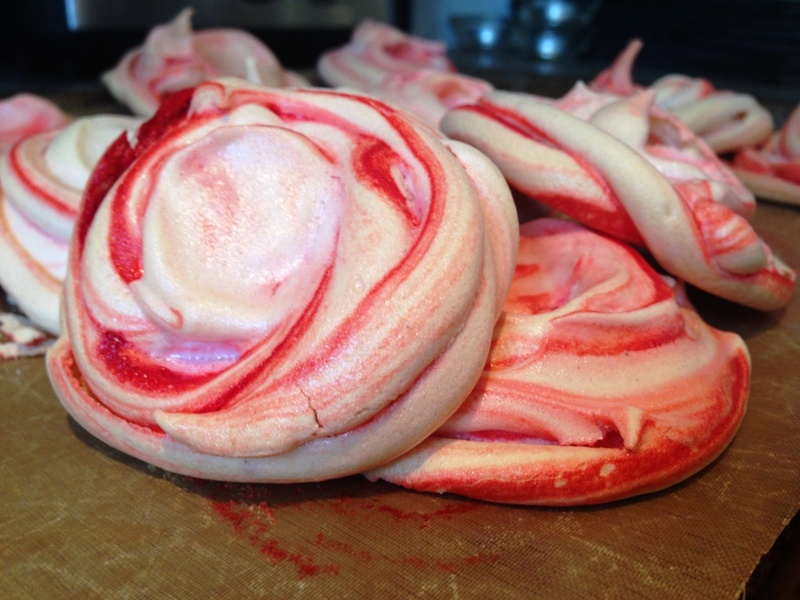 I’d highly recommend a silicon baking sheet for meringues as they have such a tendency to stick to anything else. Just before baking I pressed the top peaks down with a wet finger, creating the well that strawberries would eventually sit in. 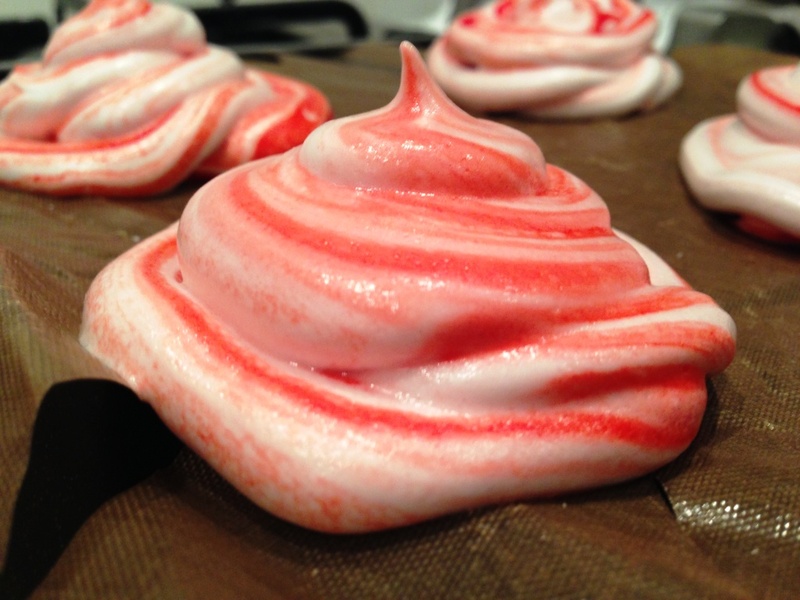 I prefer dry, crunchy meringue, so baked mine at 130 degrees for about 40 minutes. Turning the oven off, I then left them overnight to completely dry out. The next day they were ready to use straight away – and looked perfect atop one of the many cake stands for afternoon tea. 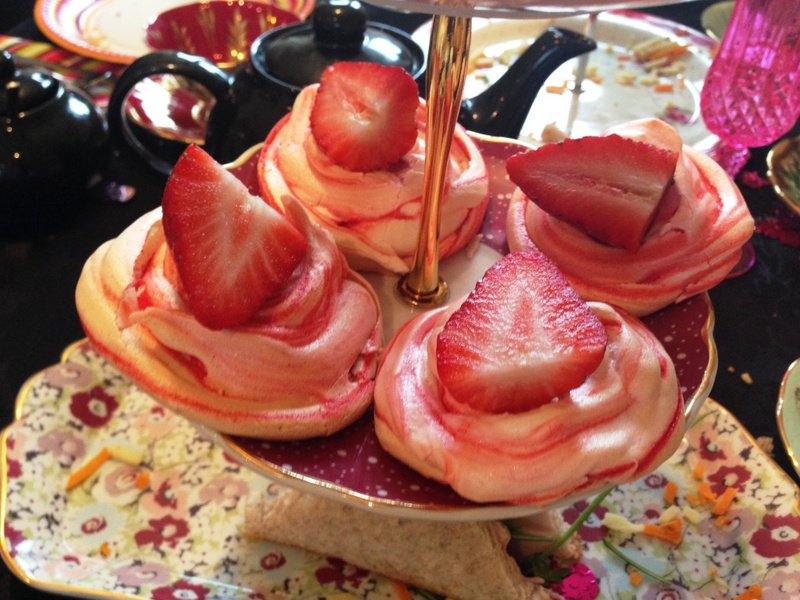 A simple half-strawberry in each (cut-side up, so the moisture didn’t ruin the meringue), and they were the perfect addition to the tea table! And whilst my birthday may be over for another year, there are lots of exciting plans in place for friends and family celebrations in the next couple of months. All accompanied by cake, of course! 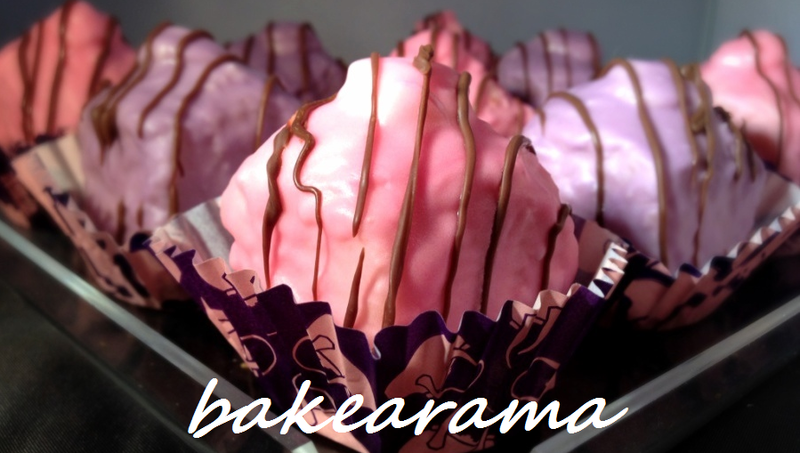 This entry was posted in Baking, Sweet stuff and tagged afternoon tea, baking, ingredients, low-fat, meringue, recipe, strawberries by bakearama. Bookmark the permalink. I love those swirls, they are so beautiful. I wish I could gobble one. Thanks for sharing!